For Greeks, Orthodox Easter is the biggest holiday of the year. It is not only a significant religious event, but it is also a time for people to gather and celebrate Christ’s resurrection. For Greek people throughout the world, this usually involves food. The celebrations begin at the midnight service and conclude after the last guest goes home. For Greek Orthodox Christians, the midnight service on Easter morning is an important one. This is where the true celebration of Christ’s really begins. Once midnight comes, the entire congregation is illuminated with candlelight because Christ is the Light of the World. People sing the traditional hymn- Christos Anesti or Christ is Risen. Parishioners bring the candles home and keep them lit as long as they are able. Great Lent is a time of fasting and prayer. Easter, also called Pascha, is the first time in fifty days where some Orthodox Christians get to eat whatever they desire. After coming back from the midnight service, most people sit down to eat meat for the first time. Each family has their own customs as to what, exactly, is served. One of the most common dishes is magiritsa, a traditional soup that is made from the organs of the lamb. For many families, this is the only day when the soup is served. 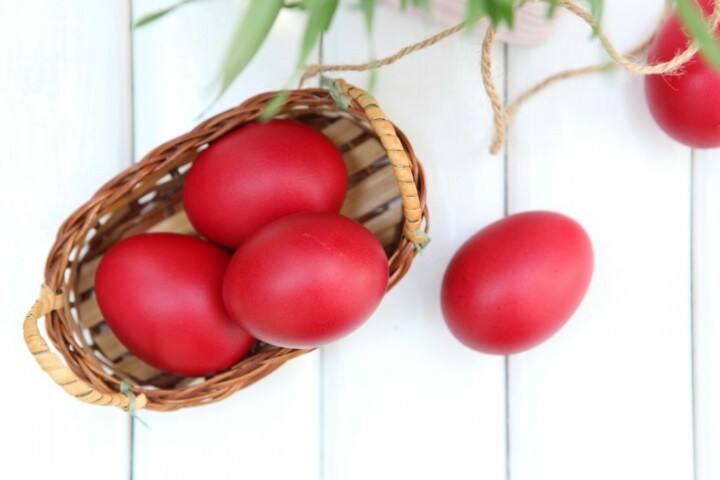 On the traditional Greek Easter table, you will only find Easter eggs that have been dyed red. These eggs have a lot of symbolism. The red color symbolizes the blood Christ shed for our sins on the cross. When the egg is cracked and the insides are revealed, this symbolizes His resurrection. Greeks often play a game with the eggs, as well. Each person grabs an egg and takes turns hitting the ends of each other’s eggs. The person whose end doesn’t crack wins the game. 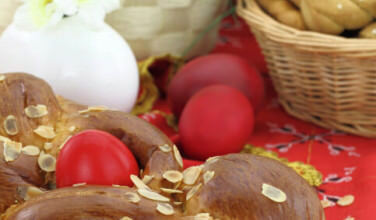 Greek Easter bread, or Tsoureki, is another thing that is traditionally served only at Easter. Tsoureki is a sweetbread that is traditionally spiced with “mahleb,” which has a delicate flavor that is reminiscent of cinnamon. Since it isn’t readily available in the United States, people often replace it with cinnamon. Some families bake a red Easter egg in the center. Others use the dough to create small rolls rather than make a larger loaf. 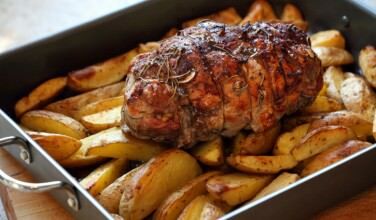 Lamb is the meat that is most traditionally served at Greek Easter. In Greece, however, you may find that people serve other meats, such as goats. For them, it depends on what’s available. However, lamb is the preferred choice because Jesus is known as the Lamb of God. In the Jewish tradition, sacrificing a lamb is part of their religious life. 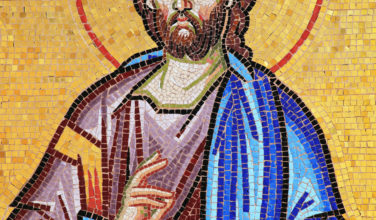 John the Baptist was the first to refer to Jesus as the Lamb of God because His purpose was to take away all our sins. Greeks eat lamb in remembrance of that. Greek Easter is not only a holiday with religious significance, but there are many traditions as well. 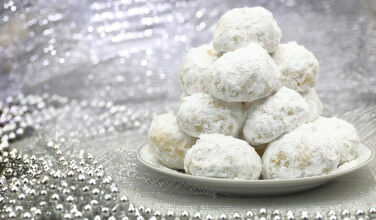 It’s certainly a time for celebration and for Greeks; this is the biggest religious holiday of the year.